Anyone who went to a big Free Software conference has seen one of his colorful t-shirts. Or maybe you have heard the story where he got his beard shaved by Linus Torvalds to raise funds to protect the Tasmanian Devil. More seriously Bdale has played and continue to play a number of important roles in the Debian community. He also represents one of the biggest corporate sponsors (both for DebConf and for the servers that Debian owns): Hewlett Packard. My questions are in bold, the rest is by Bdale. I made my first personal contribution of source code to what we now call Free Software in 1979. I started with HP in 1986 and for nearly a decade have served the company as Chief Technologist for Open Source & Linux. I am president of Software in the Public Interest, which is the “umbrella organization” providing legal and financial existence for Debian in the USA. I also represent users, developers, and Debian interests on a number of boards including at the Linux Foundation and the Freedombox Foundation. I’m happily married with two children. Many people in Debian have met some or all of my family. They all joined me for Debconf in Edinburgh, and my daughter Elizabeth also attended in Caceres and New York. I joined Debian in 1994. I’ve been responsible for a number of packages essential to our base system continuously since that time. But I’ve also contributed to the project in many other ways over the years. I ran the first server that was fully dedicated to Debian. Ideas of mine influenced the development of project infrastructure, from the early design of our mirror network to structuring the archive around a ‘package pool’. I started or made significant early contributions to 5 ports of Debian to non-i386 architectures. I served as Debian Project Leader (DPL) in 2002-2003, was acting Secretary for a while, and have served on the Technical Committee for a number of years. Over the years, I’ve also had some interesting hobbies. I helped design, build, and program pieces of various amateur radio satellites. I enjoy making physical things, and have many tools for working in wood and metals. My son and I are very active in the world of high power model rockets. And with my partner (and fellow Debian developer!) Keith Packard I’m now running a small business making and selling open hardware and open source avionics for hobby rockets. You can read more about that at http://altusmetrum.org. You’re the chair of the Debian technical committee. Can you quickly explain the role of this committee? I think many people assume the Technical Committee has a larger role in Debian than it really does. Section 6 of Debian’s constitution defines the official role of the Technical Committee. Most importantly, the committee exists as a last resort place to resolve technical conflicts between Debian developers that they are unable to resolve by themselves. Most of the power in Debian is left in the hands of individual developers, who are usually able to collaborate with each other to make good technical decisions. So the Technical Committee’s resolution process has only rarely been needed, which I think is a very good thing. From my point of view, the technical committee is not working. In many cases, the committee does not take any (timely) decision and just waits until the underlying situation has evolved to a point where the intervention of the committee is no longer needed. Do you agree with this and how can you explain it? I think it’s very important for all of us to remember that everyone working on Debian does so voluntarily, and people who volunteer their time generally deserve a measure of respect and appreciation for their efforts. No issue is brought to the Technical Committee unless resolving it is expected to be really difficult, or at least contentious. And often, the issues brought to the committee have been as much or more about personality than technology. That makes some of them really hard to solve. So I do not agree that the technical committee is not working. It seems to me that the decisions that bog down and take a long time are the ones where arguments start out or become emotional instead of technical. In this context, if committee members can help lead public and private discussions in a way that causes a situation to evolve to the point where a decision is no longer needed, that may be healthier for the project in the long term than a quick vote that satisfies some contributors at the expense of others. The last important change that was made to try to revive the committee was the addition of two new members (Don Armstrong and Russ Allbery). Is there anything else that could be tried? The biggest improvement I could personally wish for is something people sending issues to the committee can help with. As the ultimate technical decision making body for a project whose output is mostly software, the more a request can be put in terms of a decision about source code, the easier it will be for us to make a decision. That won’t always be possible, but when we’re forced to try and dream up alternatives and then figure out whether anyone would actually be willing to write the code to implement those alternatives, the process takes a lot longer than choosing between competing patch sets or deciding whether a patch should be included. Besides your role in the technical committee, you have held the role of mediator/facilitator/advisor on numerous occasions. Because you’re an old wise bearded guy who travels a lot and knows many Debian contributors… I would like to thank you for all this work that few people notice. Are there been times where this has been a real burden for you? Thank you for mentioning this. I’ve put a lot of my heart into Debian over the years, largely because it’s a project and a community that continues to amaze and inspire me. The only time any of this feels like a burden is when there’s some important problem that many people care about, that I’m working “behind the scenes” to help fix, but can’t really talk about publicly without causing more harm than good. It’s distressing to have people think you don’t care or aren’t helping, when really you’re doing everything you possibly can… just not in a publicly visible way. Of course I understand that this is an impossible situation. If you can’t see what’s happening, there’s no way to know if something is happening or not. That’s why I advocate doing as much as possible in Debian, and SPI, and everywhere else I contribute in as open a way as possible. You have been Debian Project Leader and you promoted the vision of Debian as the Universal Operating System. What does “universal” mean for you? The biggest thing to me at the time was the idea that Debian could be anything. Those who chose to work on Debian would ultimately determine what Debian became. I also wanted to make sure we thought about as broad a set of potential users and collaborators as possible. But this vision provided a framework for pursuing a whole range of worthwhile increases in Debian’s scope of utility, some of which I articulated in my DPL platforms, some others put forward. Internationalization, porting to more supported architectures, our inclusive and evolving approaches to accepting new developers and new packages, and so forth. I think this vision has served us well, and it pleases me that it has stayed a part of our collective thinking for so long. We’re again in Debian’s electoral period, what do you think of the work done by the current DPL? I’m very happy with what I’ve observed of Stefano’s activities during his first year as DPL. He has an obvious enthusiasm for Debian, communicates well both in one to one interactions and in front of a crowd, and I think represents Debian very well. It is interesting that he’s running unopposed for re-election this year. I choose to interpret that as evidence he’s doing a good job, the project is running well, and nobody feels the need to try and take the job away From him. I’m glad he’s willing to continue in this role for another year. 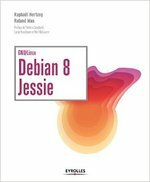 What’s the most important thing that Debian should achieve in the wheezy timeframe? I don’t yet have a very crisp personal wish-list for wheezy. But I would certainly like to see multiarch support finally completed! I’m also very interested to see what comes from the CUT work. You have been an early supporter of “multiarch”, a project to allow easy installation of foreign architecture packages. It’s on good track for Wheezy. Do you think it’s an important milestone? My original motivation for requesting multiarch support was to enable support for 32-bit x86 binaries on ia64 “Itanium” systems, in the time leading up to the “sarge” release. I ended up creating the ia32-libs package, which I’m not proud of. The emergence of 64-bit extensions to x86 (the amd64 architecture) made this a much broader issue. Today, I run a 64 bit kernel and a 32 bit user space on my notebook. There are problems with just moving entirely to 64 bit… but I would like to be able to run some applications that work with large data sets in full 64 bit mode! Thank you to Bdale Garbee for the time spent answering my questions. I hope you enjoyed reading his answers as I did. Subscribe to my newsletter to get my monthly summary of the Debian/Ubuntu news and to not miss further interviews. You can also follow along on Identi.ca, Twitter and Facebook. 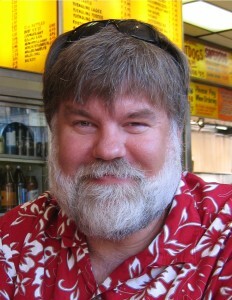 Thank you Bdale for your contributions to Debian and Free Software for so many years. If you ever need a taiko drummer in support of your efforts, let me know. 🙂 It’s great to see you on the Freedombox Foundation board too. Exciting stuff!